I was re-reading some of my earliest blog posts, and thinking how thankful I was that my aunt got me started on blogging. I have a terrible memory, and it isn't getting any better with age. I have figured out a few tricks to improve it, but that really isn't the point of this post. To have it written down is much better than trying to rely on my frail brain. My life is often mundane, and really lacks any outstanding incidents-at least to me. But when people ask about things, like the birth of my children, I realize that boring is truly in the eye of the beholder. I am fascinated by people's stories. Some of my favorite books as a child were the "Little House" series (thanks, Mom) as well as the "Stories from Grandma's Attic". Both series were true accounts of pioneer/farm life and I loved being able to sympathize with and understand the feelings of those girls, even though they lived so long ago. And it wasn't just the big things. I loved reading about the straw "air castle" and all the tasty food in "Farmer Boy". I loved the story about the Valentine cards in "Caddie Woodlawn". I am human, and I connected to those human elements. They made the stories come alive. The parts about Indians, thieves, and months-long blizzards are all amazing, but it was the little things that drew me in and gave me insight. And that is why I share my stories. I tell my little, boring tales because it makes me real, and it helps me to remember. I want my kids to read this and understand me better. I want my great, great grand kids to read and feel like they knew me. And that is why it is so important to tell your story. It is yours alone to relate, but you might be surprised at how it touches people. I don't think everyone needs a blog. However, there are many ways to tell your story. I try to share little memories with my kids and Joel whenever they come to mind. Everything doesn't have to be written down-take photos, sing songs, buy souvenirs, draw a picture! Just remember: God has given you a story that is all your own. And He desires you to use your life experiences to guide and help others. So many Jewish traditions are tied into story telling. Every Passover celebration is a huge, long recounting of the Israelites rescue from Egypt. Every year, over and over. And it never gets old. Tell your story, and don't be ashamed that it is boring. We shared our testimonies in Lifegroup a few Sundays back, and I was surprised at the number of adults who said that their salvation experience was "boring" or " normal". Being saved from deserved damnation by astounding, completely unmerited grace can never be either of those things. God gave you your testimony for a reason. Be real, and you will find it draws people to you. No one expects, or even desires, perfection. It is our flaws and weaknesses that allow God's power to shine through in our lives. It is the little strange things, that could never be coincidences, that often help us to discover purpose. And how could you not want to share that? I often gain more insight into my very own, lived-through experiences when I tell them to others. Sometimes, the other person helps me realize things that I never would have seen on my own, and sometimes, I just see it myself, by trying to describe it to someone else. One of my favorite quotes of all times is about story telling. In "The Horse and His Boy" C.S. 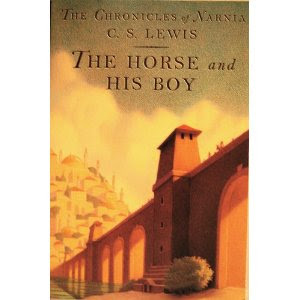 Lewis paints the most beautiful scene between a troubled orphan boy and the lion, Aslan-who is a representation of Christ. The boy, Shasta, feels as if his whole journey has been plagued with trials, and he is trying to understand what happened to his only friend, Aravis. Shasta says, "Then was it you who wounded Aravis?" Aslan replies, "It was I.". Shasta counters with, "But what for?" "Child," said the Voice [Aslan], "I am telling you your own story, not hers. I tell no one any story but his own." Don't be afraid. He brought you to this place for a reason, and perhaps, through the telling (though it may be hard) He may show you things that you would have never seen otherwise. You may be a blessing to someone in ways you never imagined. But you will never know unless you begin. "Once upon a time..."
Well, I don't think your blogs are "boring" and I like the insights into your heart/life. THANK YOU for sharing :0).